Predictably, the downtown is now chockablock with juxtapositions of new and old. 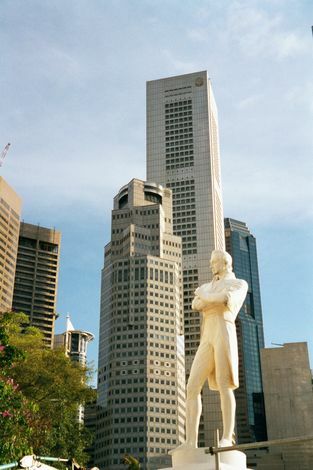 Raffles, backed up by the great banks. 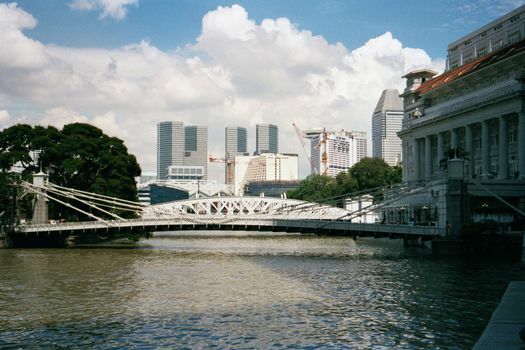 Government buildings and the omnipresent financial giants. 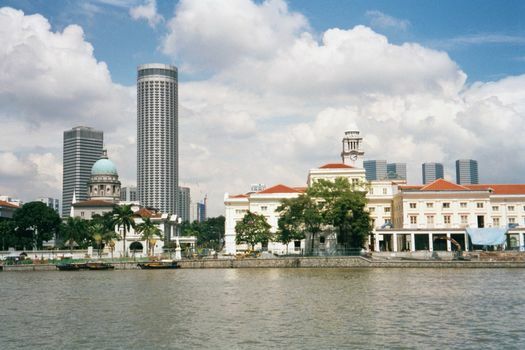 The domed Supreme Court; the modest Parliament House; behind it, the tower of the very active Victoria Concert Hall; rising in the background, the beer can of the Westin Hotel. 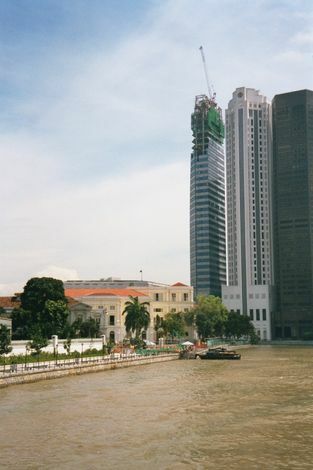 Marina towers rising beyond the Cavenagh Bridge. On the right, the post office recently converted into a hotel. 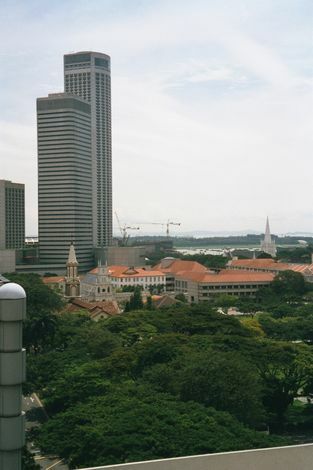 The Westin lording it over the dweedbly steeples of the Catholic Cathedral of the Good Shepherd and the Anglican St. Andrew's Cathedral. 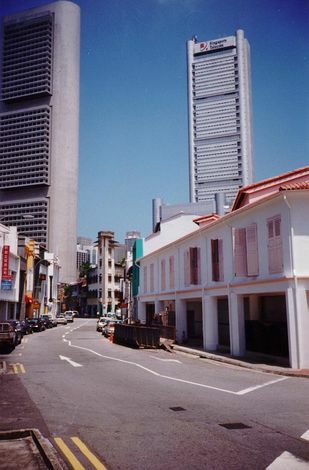 Singapore Telecom above Chinatown shophouses. 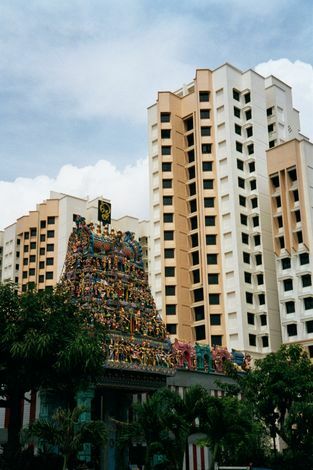 Srinivasa Perumal Temple and neighbors. 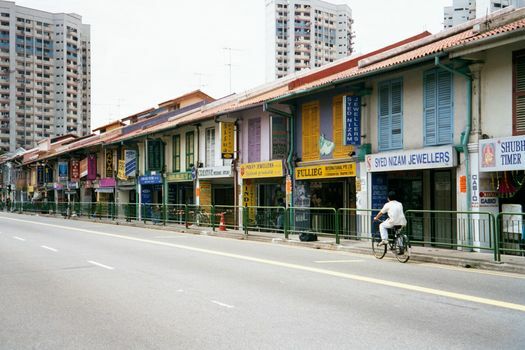 Down the same street: Serangoon Road shophouses. 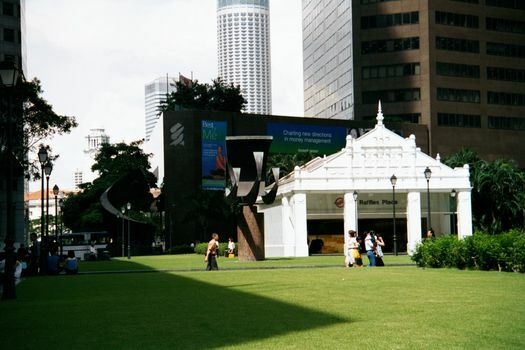 The shadowy mass of the Standard and Chartered tower stands above the fake-old Raffles Place subway station. 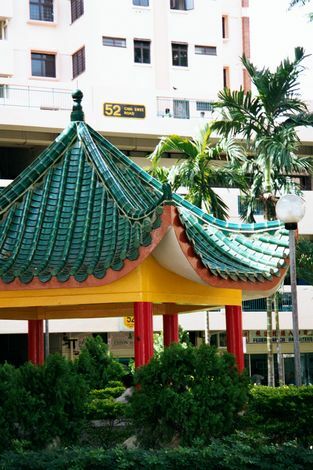 In the midst of a sea of Chinatown residential blocks: a kiosk straight from the Ethnic Decor Department at Home Depot.